The battle is on! Air Canada and WestJet are the two main competing airlines in this great country of ours, and it looks like they are giving us a new tradition. The airline battle of the tears. WestJet did an amazing Christmas Miracle video last year and this year they stepped up their game. This year however, Air Canada threw their hat into the "how much can we make you cry tears of emotional joy" ring. So of course, with any competition, we need to crown a winner. The WestJet video was great. Giving to people in a poor country is always a good way to people's hearts. Loved the WestJetters donning the blue hats and running around building and buying stuff. But there is something to say about about the simplicity of the Air Canada video. 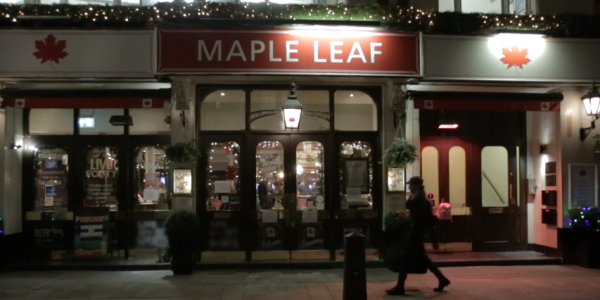 Two pilots go into a ex-pat bar and offer all the Canadians in it flights home for Christmas. It's not the poor and unfortunate children of the Dominican Republic, but it does tug at your heart strings. They are Canadians, like you and me, who now can spend Christmas with their families. WestJet's gesture may have been more grand and changed more lives...but I connected more with the Air Canada video. I can't believe I'm saying this but...Air Canada wins. But don't let me make up your mind. Decide for yourselves.